The College Chaplains aim to support students' social, emotional and spiritual well-being through small groups, one-on-one conversations and targeted intervention programs. College Chaplains liaise with parents/guardians, College staff and external agencies. The Junior School and Senior School Chaplains are key members of our pastoral care team, working closely with our psychologists and student counsellor. All services provided by our Chaplains to members of the College community are done so on a voluntary basis. Students can contact the Chaplains either through Students Services (Senior School) or Administration (Junior School). Each year the College community is surveyed to gain feedback on the program. It is a great honour and privilege to be able to work with the students, families and staff in the school community. I am very excited about the role and look forward to many exciting times ahead as we share the journey of the junior years together. My role entails building relationships with the students and becoming familiar with their environment, to position myself to offer the best level of support possible. I work closely with the teachers and am a regular presence in the classroom and playground, so that I can connect with the students in their day to day settings. As needs arise, I meet with students 1-1 and in groups to work through the various challenges they may be facing. Now and in the future, I hope to provide a strong presence at assemblies, excursions, camps and other activities throughout the year. I have a background in pastoral work and coaching and I’m keen to combine these two passions to create a safe, enjoyable and rewarding space for students to grow in their faith and confidence, to be the best they can be. 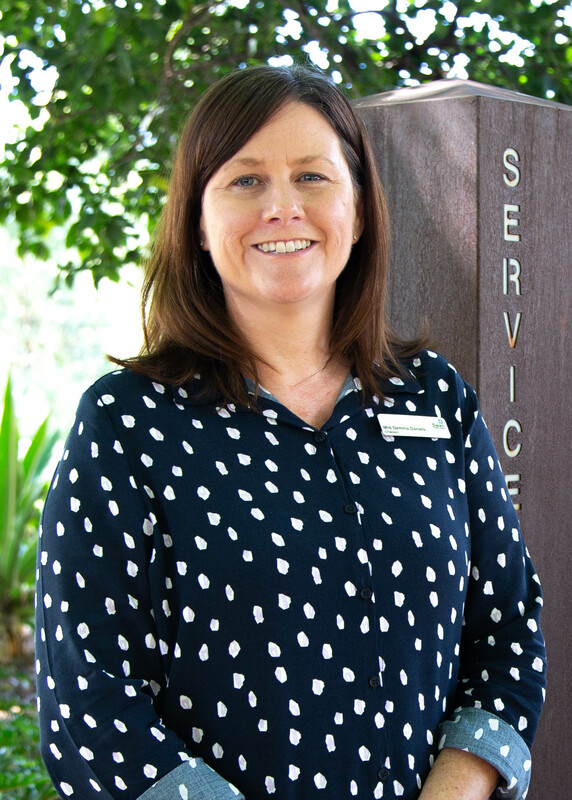 Chaplaincy is a ministry of presence and I plan to be available at all times; with an open door and friendly face that is always here to help the students, families and staff at Swan Christian College. It is a great privilege to be able to serve the community at Swan Christian College in the role of Middle School Chaplain. Previously I have served as a Primary School Chaplain in Margaret River, where my family and I lived for more than a decade, as well as being involved in youth ministry at my local church. I have a background in social work where I have seen the benefits of utilising well researched best practice principles; these will enable me to support young people as they begin the journey of adolescence. Middle school is a time of immense growth opportunities, where young people can begin to explore areas that excite and challenge them, and I hope to encourage a positive perspective on this time as opposed to the negative image of adolescence that is often portrayed in society. I am passionate about supporting people to achieve their God given potential and aim to encourage a sense of hope through my interactions with students, caregivers, and staff. Relationship building is key to my role and it is my hope that throughout the year I will have many opportunities to get to know this community through shared experiences, storytelling, and individual ‘catch ups’. I work closely with the Student Services team to enable a safe and supportive environment for all students and welcome the opportunity to speak to students and caregivers who may need additional support. I also love hearing ‘good news’ stories from students. A listening ear and friendly smile go a long way in a world that often feels overwhelming; I encourage all people to reveal kindness to others and believe that together we can make a difference in this world. I have been working as a Chaplain at Swan Christian College Senior School for more than seven years now. As Chaplain, I meet with Senior School students both individually and in small groups to discuss a variety of issues and topics, including social and emotional issues. I meet with students on a self-referral basis or at the request of a teacher or parent. I offer support to students and refer on to counsellors and other pastoral care members where appropriate. I am excited to also be facilitating a course called Vetamorphus, which is a Certificate III in Christian Ministry and Theology. The course is available to Year 11 students and is running at Swan for its sixth year. It is a great opportunity for students to ask questions, mature in their faith and think through some of life’s tough questions. I enjoy getting involved in College life through Christian Union and attending camps to get to know the students. I am passionate about supporting our students through their Senior School years and equipping them for their futures. The Chaplaincy Project is partially funded by the Australian Government Department of Education under the School Chaplaincy and Student Welfare Program.